Airbus is also struggling to keep up with deliveries of the A350 amid production issues at suppliers of interior fittings for the long-haul plane. 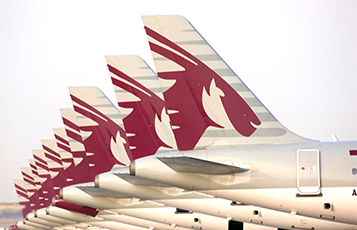 Qatar Airways, the jet’s first customer, is now five aircraft short of the number that should have been received, Al Baker said. “Our relationship is very strained,” he said. “What’s happening at Airbus with the deliveries is seriously affecting our growth.” With the A350 shortfall having a “huge” impact on Qatar Airways’s expansion plans and finances, the planemaker needs to catch up on deliveries this fiscal year, he added.